The photo above is of Sugure Kannondo Hall in Kitakata City. 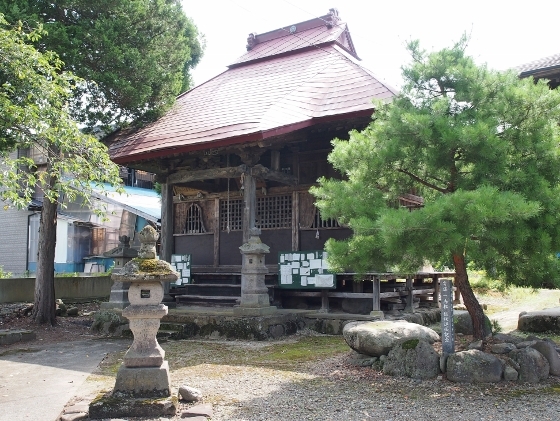 This was built in 1558, which was late Muromachi Period, and belongs to Shofukuji Temple. It is the 6th Kannon of Aizu 33-Kannon tour, which has been designated as a Japan Heritage this year. The kannondo Hall building is designated as a National Important Cultural Asset. 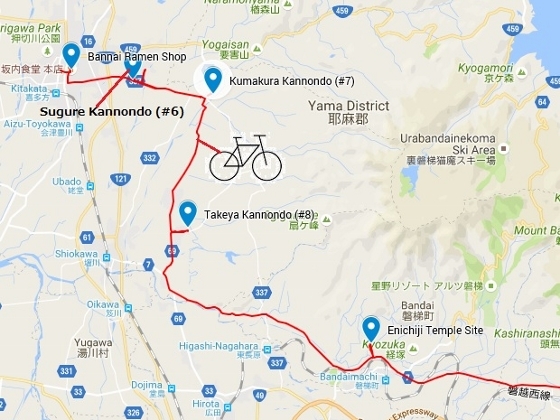 On the way back from Kitakata City to Koriyama, I decided to visit three of the Aizu 33-Kannondo located along the return route. First, I had a Kitakata Ramen breakfast at Bannai Ramen Restaurant, which is open from 7:00a.m. shown above. This shop features salt seasoned pork bone soup. The first visit on the way was Sugure Kannondo as I mentioned earlier. The second visit was Kumakura Kannondo Hall of Komyoji Temple as shown above. 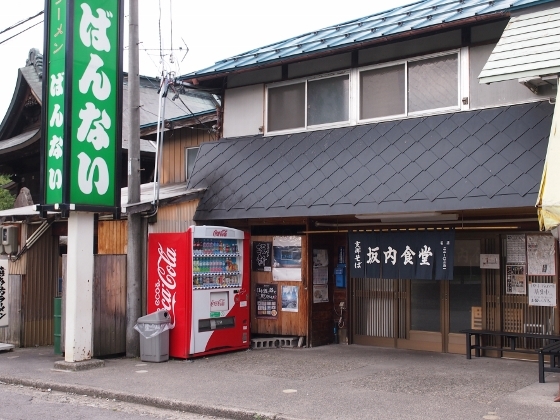 This stands in the old Kumakura-Juku village along the old Yonezawa Highway. This is the 7th Kannon out of Aizu 33-Kannon tour. The third visit was Takeya Kannondo Hall of Kannonji Temple as shown above. 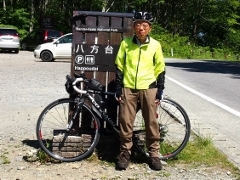 This is the 8th Kannon of Aizu 33-Kannon tour. 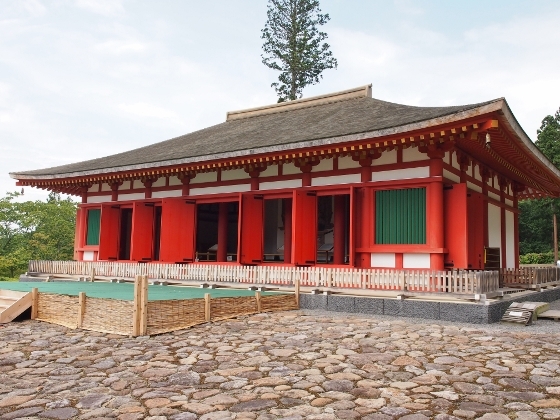 The hall building was built in 1716 and the Kannon-sama inside is the only Nyoirin-type Kannon among the 33-Kannon. Here is a further description about the hall as shown above. 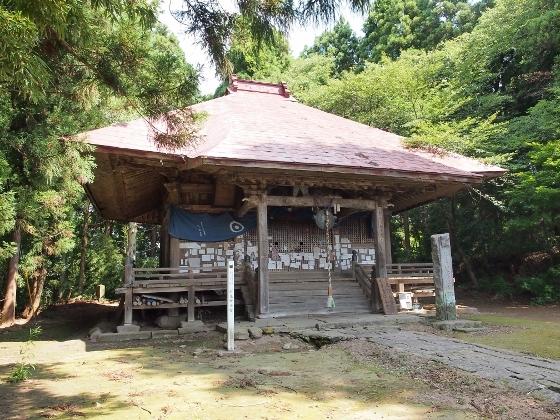 All of the three Kannondos are located in Kitakata City. I also got unique red stamps of each Kannondo as shown above. Then I moved toward Bandai Town and visited Enichiji Temple Site. The site was first built about 1200 years ago by a famous Buddhist Priest Tokuitsu from the ancient capital Nara. 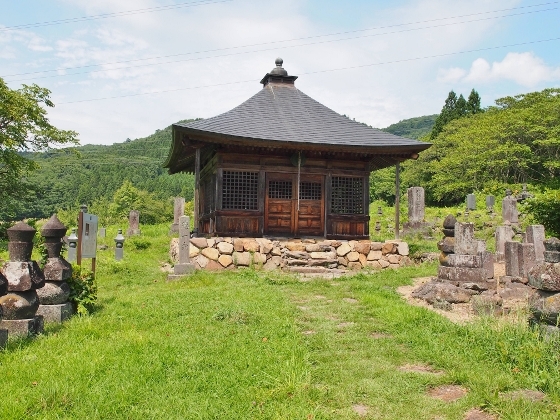 He moved from Nara to Aizu region in the early 800's and first built Shojoji Temple and Enzoji Temple, and finally established this site as a center of Aizu Buddhism. He was buried in this site, where a memorial building called Tokuitsu-byo stands today as shown above. 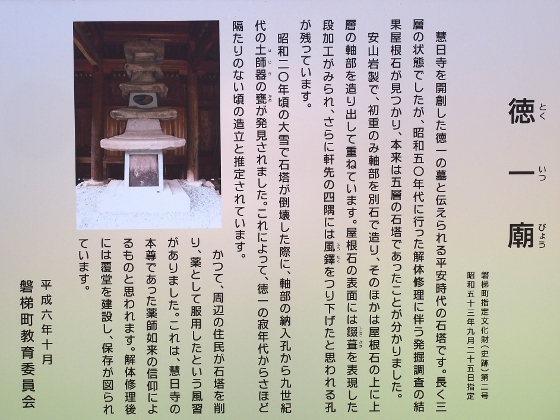 Here is a brief description about Tokuitsu-byo and his stone tomb as shown above. And the last photo is of a restored Kondo building of Enichiji Temple Site. 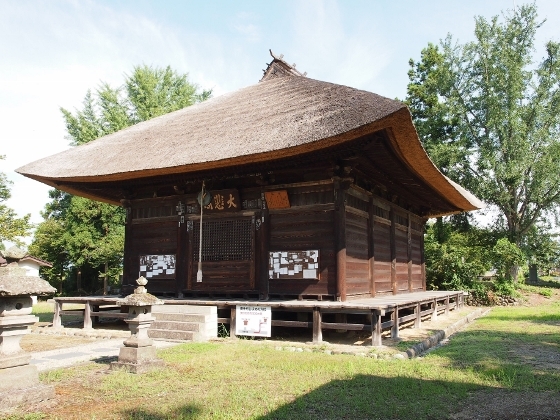 This Kondo, which means a golden hall, is considered to be the center of this temple site, and has been restored carefully according to old pictures and technologies of that age.